The article "Warm Little Inflaton", co-authored by Gr@v member João G. Rosa and collaborators Mar Bastero-Gil (Granada U. ), Arjun Berera (Edinburgh U.) and Rudnei O. Ramos (U.E. Rio de Janeiro) has been published in Physical Review Letters and selected as one of the Editors' Suggestions (a distinction given to about 1 in 6 papers). The article has also been featured in the APS online publication Physics. 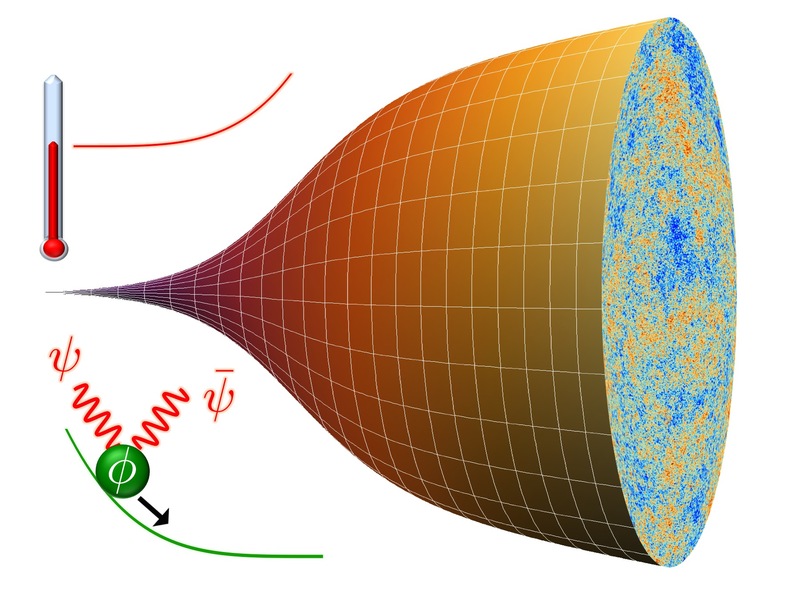 Warm inflation is an alternative dynamical picture for the early Universe, in which the dominant expansion period occurs in a warm phase, whereas in the standard inflation picture, accepted for over three decades, it occurs in a cold phase. This leads to distinct differences in the history of the early Universe and present-day observational signatures. For over the two decades since warm inflation was suggested (by one of the authors of the present paper), most experts in the fields of cosmology and particle physics have regarded it as almost impossible to realize this idea in a simple first principles model. This paper has confounded these expectations and developed a simple and compelling first principles model of warm inflation. This now provides a solid theoretical foundation to an alternative paradigm for the early Universe, which shows excellent agreement with all large-scale observational data.